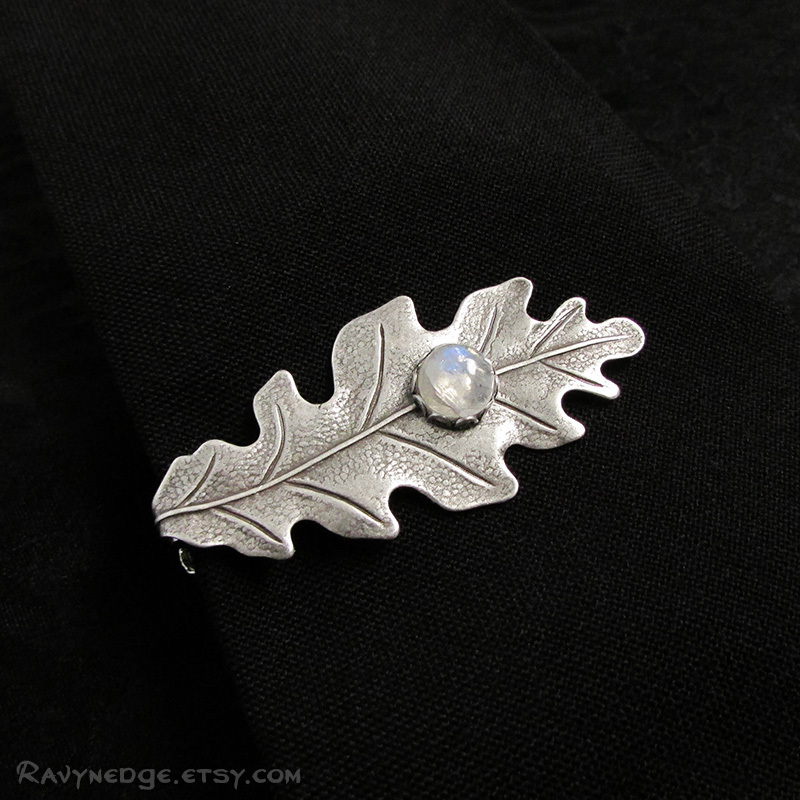 Druid's Treasure Tie Bar - Silver Oak Leaf Tie Clip with Rainbow Moonstone by RavynEdge. Druid's Treasure features a distinctive silver plated brass oak leaf stampings with exquisite detail. 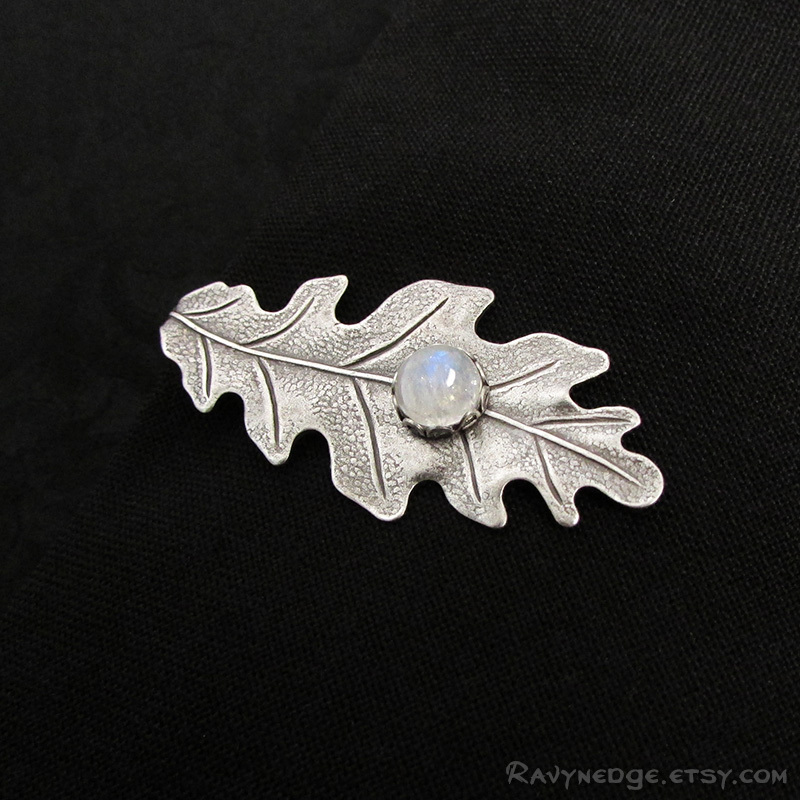 A natural rainbow moonstone is set on the leaf like a shimmering dew drop. 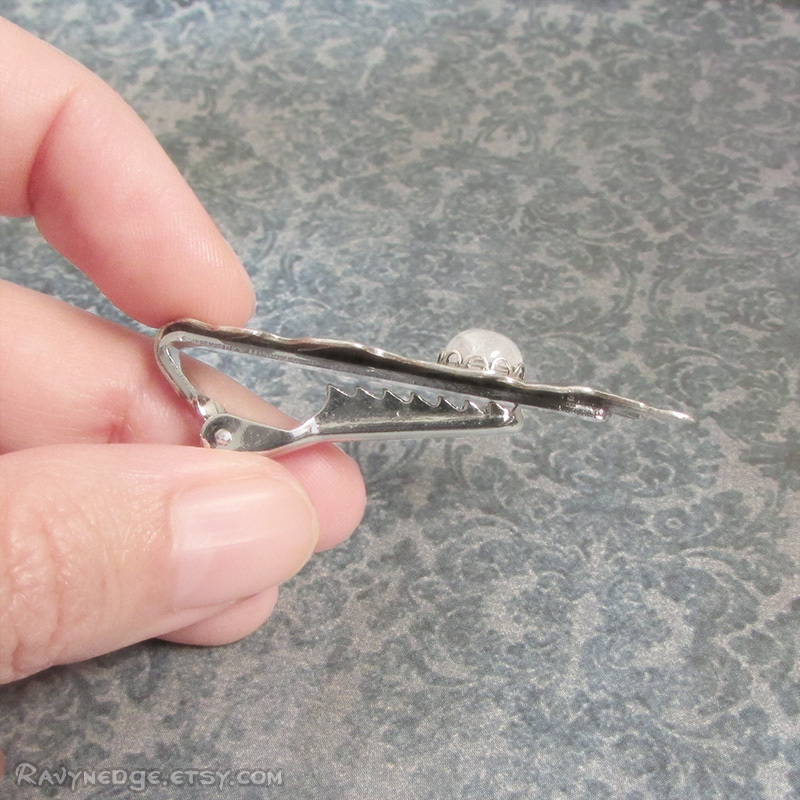 This tie bar has a pinch clip, which makes it ideal for thicker ties and heavier fabrics. Measures 1.9 inches (49mm) long and 0.9 inches (23mm) wide. 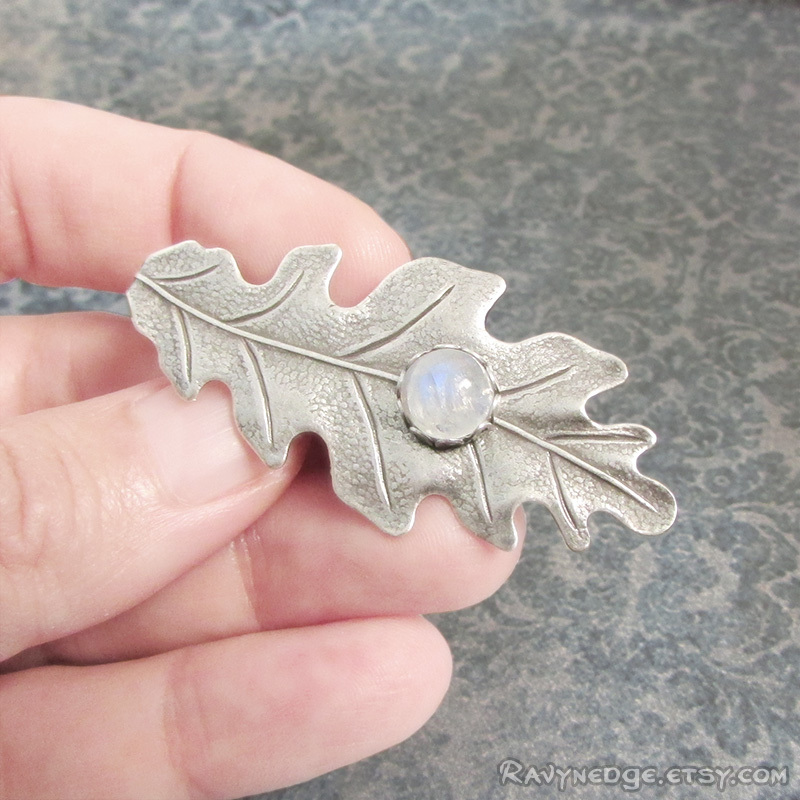 The moonstone cabochon is approximately 7mm across the center. 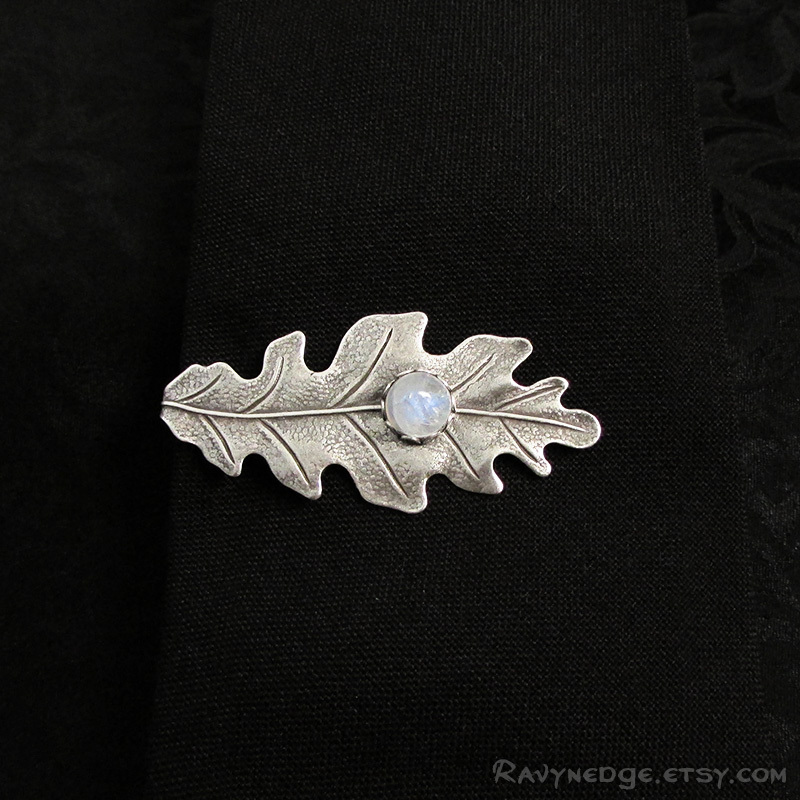 Please Note: The gemstone used in this tie bar is a natural stone. There may be inclusions or imperfections within the stone, but that is what makes each one unique.